i was here a year ago. The color illumination doesn't really look this good. 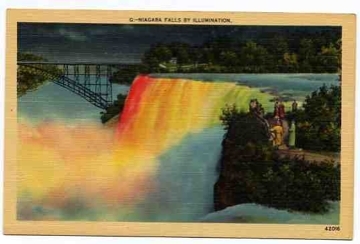 The card says "The effect is described as one suggesting that both the Sun and the Aurora Borealis have combined to do their utmost in the creation of a new spectacle". Since i've never witnessed that, i really can't say.